Accessibility is something which is within my reach. It just took me some years to use it properly. If you are in a hurry, just go to the Accessibility Tips. If you have more time, you can start with the next paragraph. Next. 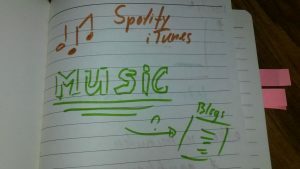 For my blog I use a default WordPress theme. I try to compensate this standard look and feel with humour. Am I kidding? No. My first blog post was a struggle with looks. I did not like header 1. The font was too big. I just used bold to make the headers. That looked just right. 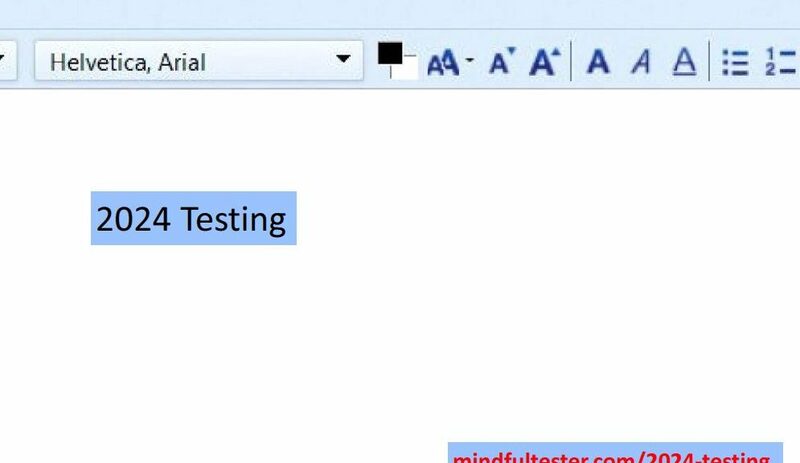 During an online computer course I had my first encounter with a screen reader. Users with bad or no view can use this program to read a web page aloud. My trick for nice headers using bold was backfiring: a screen reader would not recognise them as headers. I really needed some header tag. So I ended up with header 6. This looked good, but it was still not right. After tensome blogs I started to use the alternative text of the image. In the past this was primarily used for people with slow internet connection. This way they still could get an impression of the webpage, when the text was shown. 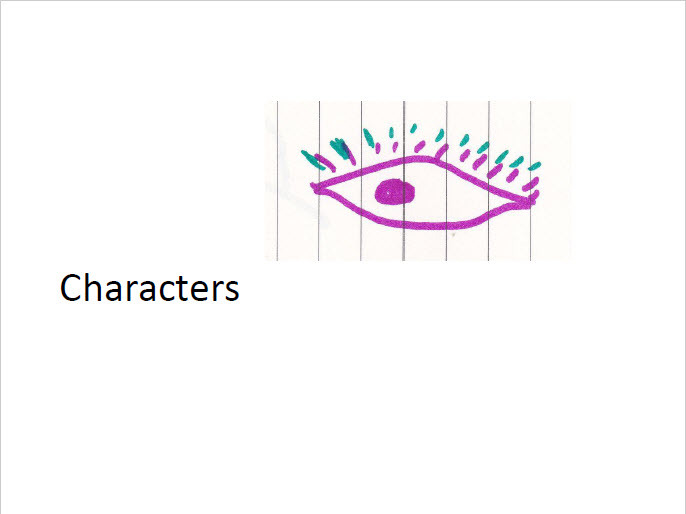 In another online course I learned that the screen reader could use this for the communication. Then I read a tweet about using a proper description. 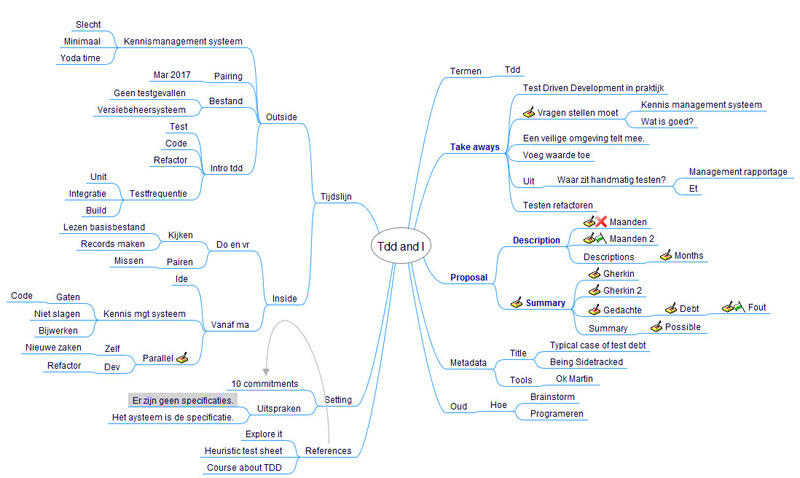 So “another mindmap” was not really helpful. Now I had to compress the information in a picture in a few sentences. That was really tricky, if some graph was involved. Maybe you noticed the exclamation mark or ! at the end of the text. This is a trick I learned later one: the screen reader reads this text differently aloud. 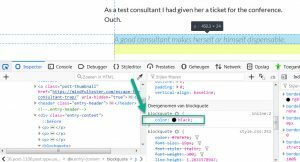 I even made a blog post with a few screen reader tricks. In this particular post a screen reader user has a big advantage over a user using a normal view. The trick with header 6 was not right. I just knew. A lot of people start counting from 1, programmers from 0. But 6 is not the right exception. It was a matter of months that I read about a confused screen reader. So I better start from header 1. Which was not my big favourite. On Twitter I saw a tweet of a user with a bad view complaining about bad contrast. Within minutes another blogger reacted by adjusting his website. I did quick check of my blog. It was all black characters on a white background. Then I noticed that my quotes were vague. Now I had to find a way to change my headers and quotes. Time to explore the Content Management System or software to maintain my blog. Mine is called WordPress. I first focused on the desired look of my header. I opened my word processor for note taking. My goal was to have my header 1 to look like header 6. 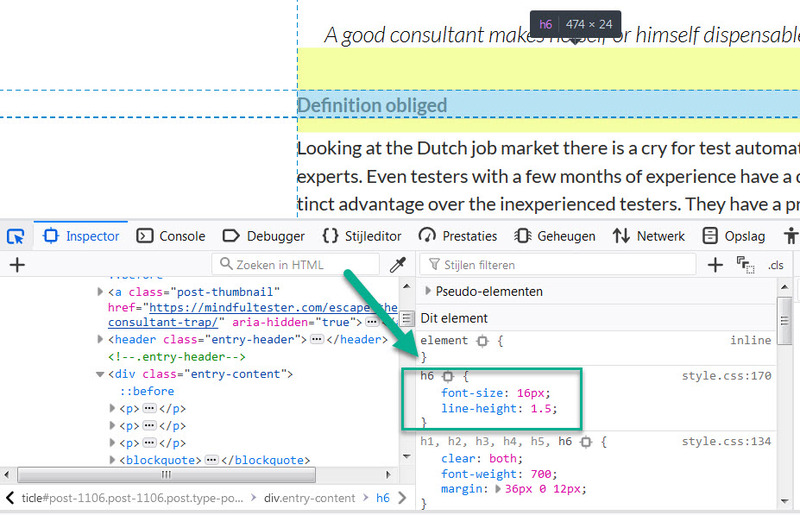 There was a nice tool in my browser: Dev Tools or Developer Tools. In my browser on my Windows machine I pressed F12, scrolled down to a header, selected the element, and saw the properties. I did the same sequence for the quote. 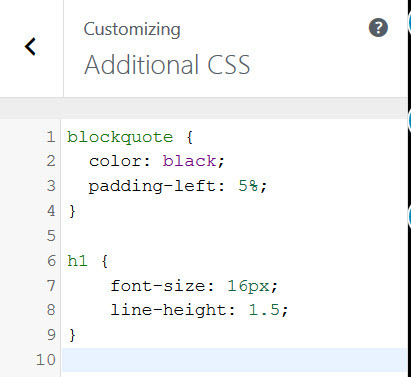 In HTML it is called blockquote. Fine with me. The colour was grayish. I started to play with all kinds of colour codes. Until I realised that “black” was also good description for a font colour. Dev Tools allowed me to experiment with the properties of the block quote without an intimidating program. Dashboard => Appearance => Customize => Additional CSS. CSS stands for Cascading Style Sheets. Suppose I change the look of header 1 at 1 place. It will affect the look of all headers 1 in my whole blog. Cascading is cool. I was too early for claiming my victory. Header 1 did not change in the visual editor. I did a preview and it looked right. Okay, found something. At the end I had changed all headers 6 to headers 1. 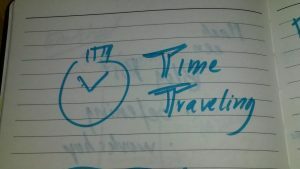 So I only had to modify all the headers of my remaining blog posts. Great. Extra work. The change of colour in the block quote went smoothly. But I was not pleased with the vertical alignment of the quote. It was too close to the left margin. 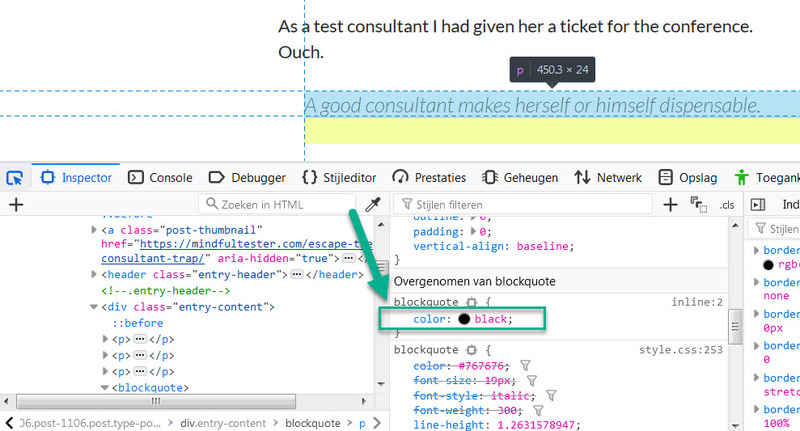 On the web I discovered that margin of an object was used to place a rectangle around the quote. Another search led to padding. If I could pad the text in the quote, then it would shift to the right. Left padding was enough. Because I had only used block quotes for quotes, all quotes in my blog were automatically modified. Use header to mark headers instead of making them bold. 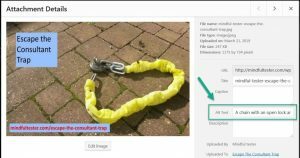 Add an alternative text ending with an exclamation mark to all pictures. Make the contrast of the colours of the text and background bigger instead of using some gray colour on a white background. 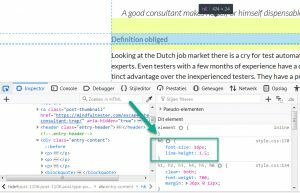 Use Additional CSS in WordPress, if you are still not pleased with the look of the elements on the page. Look for other ideas on the Global Accessibility Awareness Day website. For the record it is the third Thursday of May every year. 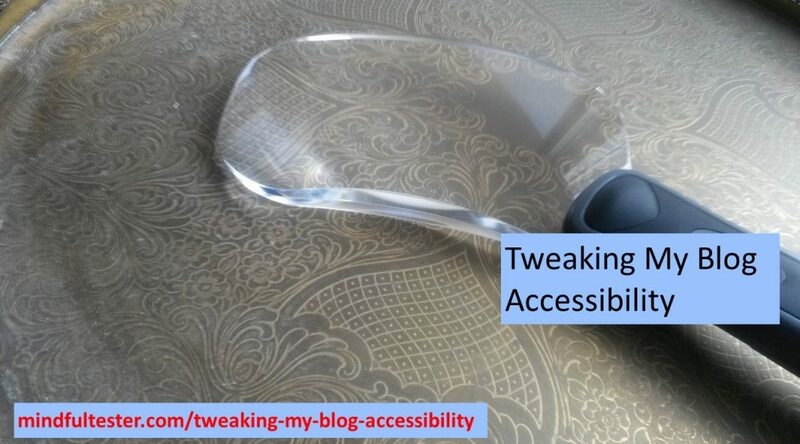 I know that there are enough readers willing to check the accessibility of my blog. The status of accessibility on my blog is in progress. At the moment of publishing this post there are still words in bold who look like headers in my first blog posts. There are still pictures without an alternative text and/ or exclamation mark. I would not be surprised that there is still work to be done after all these updates. When my kids were smaller, they loved to make pizza. And even small hands are handy for peeling off the brown layers of an onion. The Test column was empty for a few days and I had finished all preparations for the items in progress. Was there a way that I as a tester could help the DevOps engineers? I was all ears and eyes. So I joined a programmer while he was coding. Once in a while he said his thoughts aloud. A short dialogue followed. My knowledge of the development environment was almost zero and I did not know everything about Java. In this company every DevOps engineer and the tester (that’s me) had access to Pluralsight. Courtesy of the employer. Pluralsight is an online course platform with a massive load of courses. Sorry girls and guys. Up to 40% of all people got this level. This basically means that 2 out of 5 people knew as much about Java as me. Not enough to make complex changes. Now Pluralsight had another nice feature called learning path. So I dutifully cruised through the courses. I had the advantage of two screens, so I could play the course on 1 screen and program on the other 1. I had some doubts about the courses. It was like a typing course. Just enter the text and you have a working program. Tada. The same engineer noted the lack of challenge, so he referred me to project Euler. This free online platform had mathematical / programming problems. Afterwards he reviewed my Java code, which I really appreciated. Java is great, but my team used more tools to develop programs. So I followed courses on Spring and Maven. At the end of the course I could get some certificate. With no real practice I had some knowledge. On the other hand my experienced DevOps engineers loved Pluralsight. They set the video speed to double speed and picked up their nuggets of knowledge. “I noticed that you focused on layout.” my scrum master said. In this company the front-end was a website. So I had to study HTML or HyperText Markup Language, the basic programming language of web pages. I was familiar with HTML. 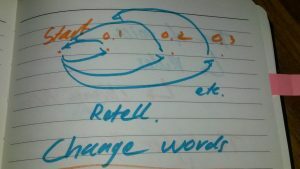 <b> hello </b> is shown as hello. b is short for bold. 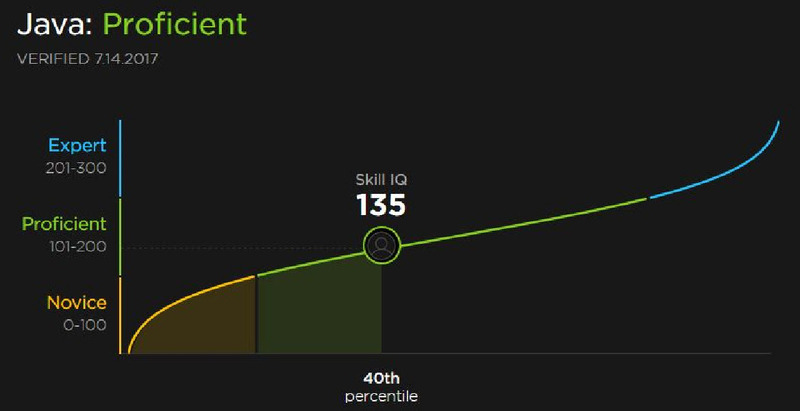 I picked a Pluralsight course for advanced web development. This was both horrifying and clarifying. 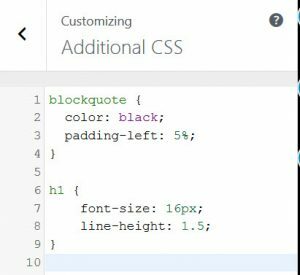 What is CSS or Cascading Style Sheets? In my own words it is a way to style a website in s consistent style. E.g. all the buttons look alike and the web page can respond to different screen sizes. I followed two courses of CSS. They were practical, so I was able to modify the look and feel of a website without changing the functionality. If I look at Pluralsight there are some good courses, but it took time to find them. The biggest disadvantage of Pluralsight was no examination. My scrum master found an interesting alternative, edx.org. You could call it freemium. The course and examination are free, but you have to pay a premium for the certificate. Freemium is “free premium” without ” pre”. I picked HTML5. The course was for beginners. But I was really happy with all the Pluralsight knowledge obtained. The course gave me a good insight in HTML5, but it also showed its limitations. Next certificate was CSS Basics. Again I had an advantage and obtained enough points for a certificate. Edx.org had the same choice problems as Pluralsight. I had to follow course parts to determine whether there was a click. 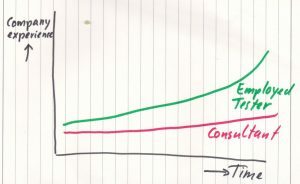 A major difference is, that Edx.org courses are time bound. After a deadline the course is closed and only accessible for old students of this particular course. Edx.org has a slight advantage that it offers up-to-date information. Pluralsight has some old courses. For a Maven course this is tricky. Old versions as shown in the video cannot be used. Another deadline disadvantage of edx.org is that timing is personal. Several courses acquire 2 hours a week. For someone new to coding this number is too low. Sometimes one block of 2 hours would take me 40 hours. There is also a deadline for a certificate. My advice is first to get the required numbers of points and then buy the certificate. Once I bought a discounted certificate before getting the required points. Let me write it was not my best investment. There are limitations to be aware of. 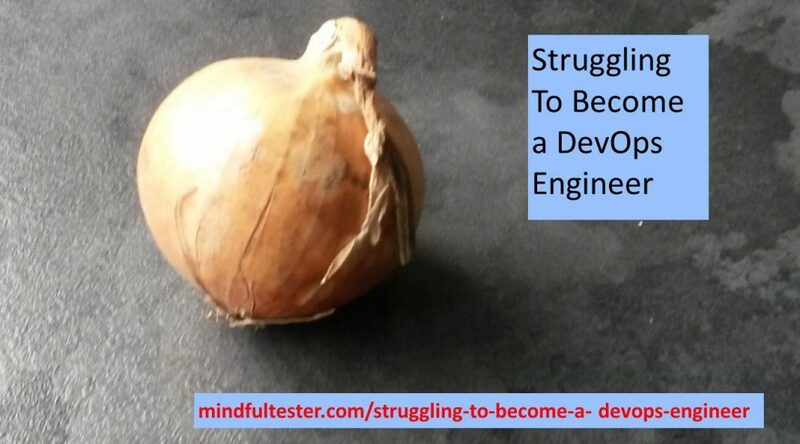 A DevOps engineer does more things than programming. So I learned about website security, privacy laws, and usability. In the meantime I acquired some DevOps skills like looking in and understanding log files. In April 2018 I got the disturbing news, that I was fired. In case you want to know what I am doing right now. Thanks for reading. I really appreciate it. Cheers. This year Trish Koo asked for some online programming courses In the answers there are some online platforms I will try the next time. Decades ago I had a colleague without a driving license. In case of trouble he would take public traffic or got a ride of his boss. His boss decided to give him driving lessons during office hours. It saved the company time and money. Suppose you have a delivery firm. Your company picks up packages and delivers them to the right addresses. It takes about a few months to get a driving license for a car. But sometimes a motorcycle is more convenient. This will take another few months. If a lot of packages must be delivered, then another driving license for a truck is needed. OK time for the real message. Suppose you are a manager of a Dutch software delivery company. You look surprised, but you mentioned Continuous Delivery. Let me continue with writing. You happen to need a tester. On the Dutch tester job market there is a shortage of qualified men and women. The basic requirement is test automation. Why is test automation so hot? My guess is DevOps or competitors. But you are the manager and you have all the clues. 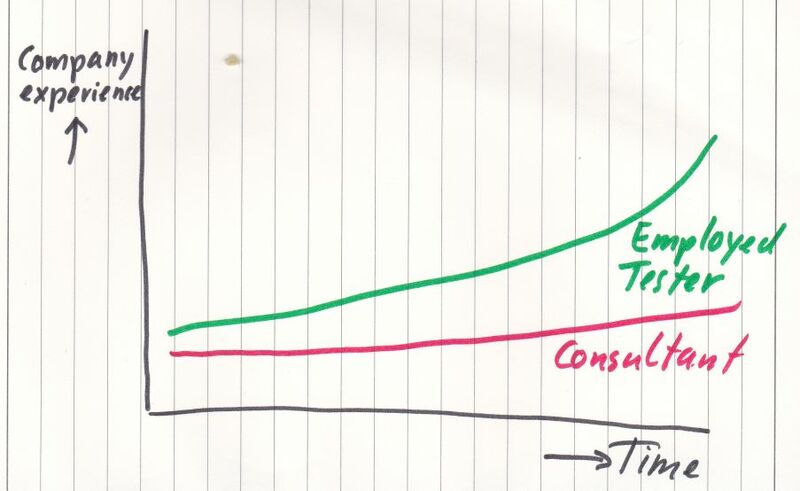 So you have to hire consultants to get things tested. And that is quite expensive. 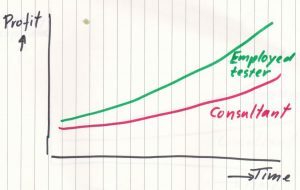 At the end of the project or sprints you have less profit and less experience in your own workforce. The only solution is to hire and train testers. Just like the driving license story it takes months and probably years to get testers at the right level. New testers should be hired for their ability to learn. 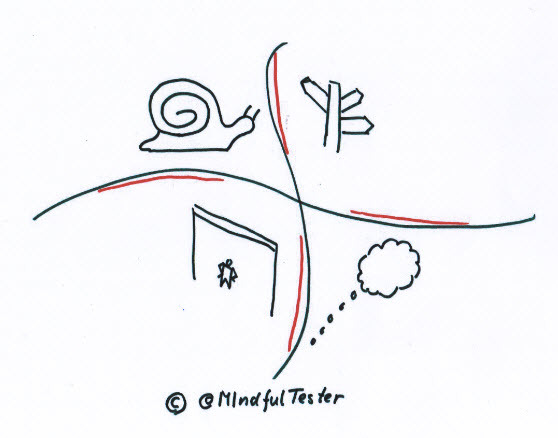 Of course you can wait, until an experienced test automation tester knocks on your door. Maybe you are lucky this year. Basically you have a vendor lock in. You desperately need a consultant for the test automation. According to me there are more unskilled testers willing to learn than qualified testers looking for a new job. A tester is just unlucky, if he or she was not able to touch tools like Selenium and Cucumber during project or sprints. One of the things I learned is Zone of Proximity. If people are in the same zone, then they can teach each other. 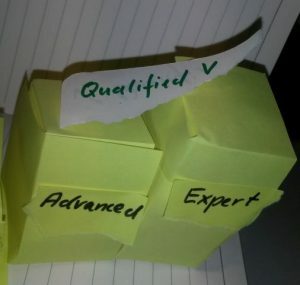 There are companies which really want qualified or expert testers. It is too difficult to teach test automation to testers with beginner level. In this case they are outside the Zone of Proximity. It would cost your company too much time and money. A solution is to lower the requirements for testers and invest more time in teaching. This might attract more candidates. 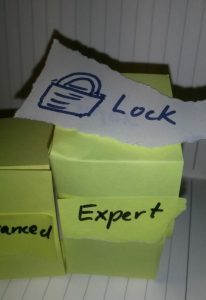 The other option is to keep the requirements and hope high to attract the expert tester. Wait a minute. Wait a week. Wait a quarter. In the ever changing world of software delivery you need a new edge: how well can you teach testers test automation? 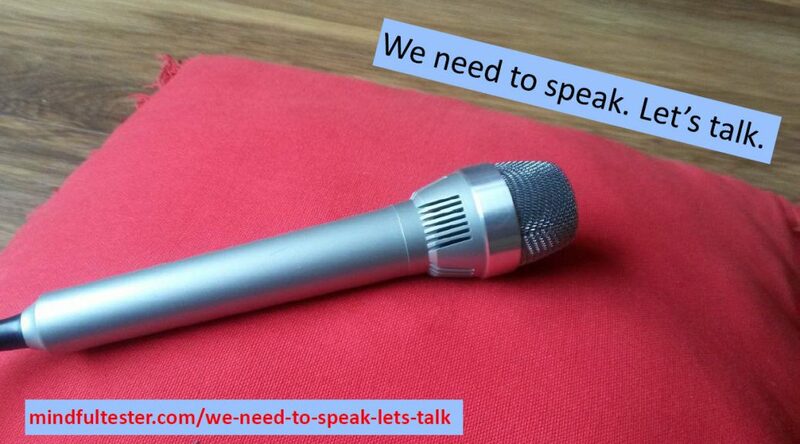 We need to speak. Let’s talk. Especially, if you want to speak at a conference in 2019. My New Year’s resolution is to speak at one conference. But it takes a lot of actions from my side. 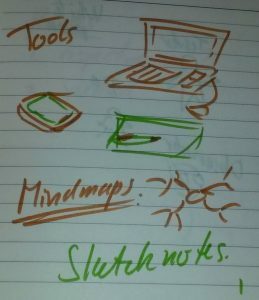 This year I tweeted about sketch notes for a workshop. 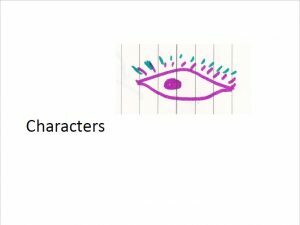 This triggered me to write this post about using visual tools in 3 acts. 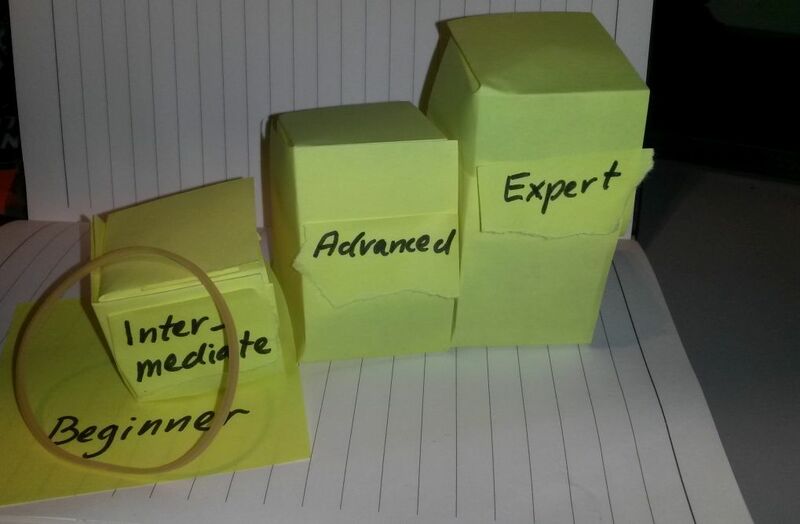 A conference does not need a complete presentation in advance. 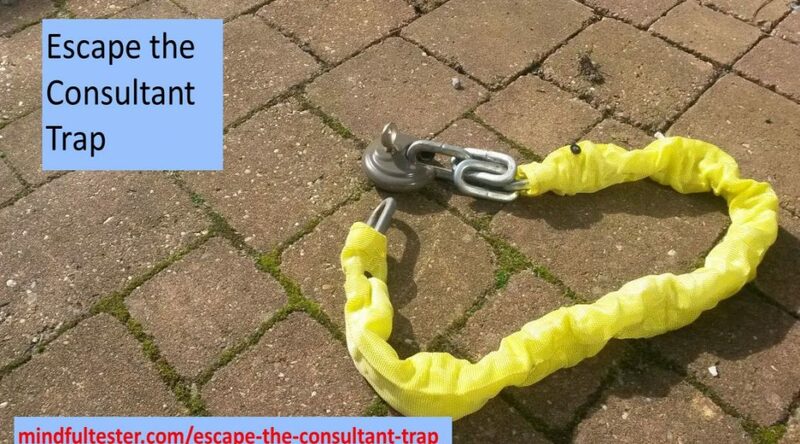 So this is a huge time saver. Call it a lifehack. I always look at the theme of the conference. Most of the times this leads to 2 proposals. A proposal is a summary of something. Something is what I am mulling about in my brains. I only have to put it in a mindmap. Once I was a test coordinator and I was requested to execute a performance test. I hired a performance tester. The website could handle the load properly, but the web masters had to cope with long delays. So I opted for a hybrid approach: a computer for a load test on the website and human testers acting as webmasters. The result were acceptable response times. Another way is to address nagging questions. This could lead to a presentation about exploratory testing and regulations. I used Exploratory Testing in the healthcare domain. My tests passed audits in 2 consecutive years. A nice workshop is based on exercises. No sweat no gain. 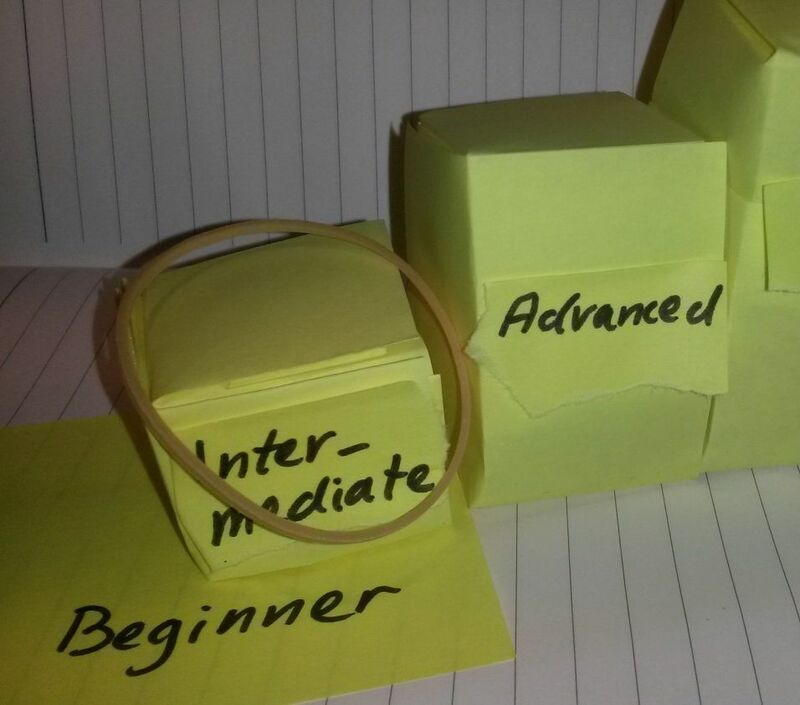 Structure is something like 1 exercise per hour including setup, doing and reflection. I always go to the submission form and find all questions in advance. While submitting I prefer copy and paste. 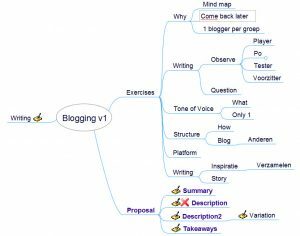 I copy the text in the note of a branch in a mindmap and I paste the text in the answer in the submission form. I try to avoid situations like ‘That will take another hour to answer this question properly’. Okay time for a visual tool. Enter the mindmap. For more details just click on the pic(ture). In case you noticed some Dutch words, it is my mother language. So I translated some words in English. For the record this proposal was accepted after more than 2 years. At the office I worked with TDD. This lead to this mindmap. The description. summary, and takeaways are shown in blue and bold. I wrote a lot of thoughts in the branches. This proposal was rejected several times, so I turned this in a blog post serie. This year General Data Protection Regulation needed a bit of exposure. This proposal was not accepted and also this one was transformed in a blog post serie. 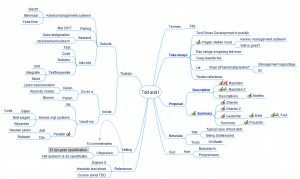 This minimal mindmap was a remake of other mindmaps. 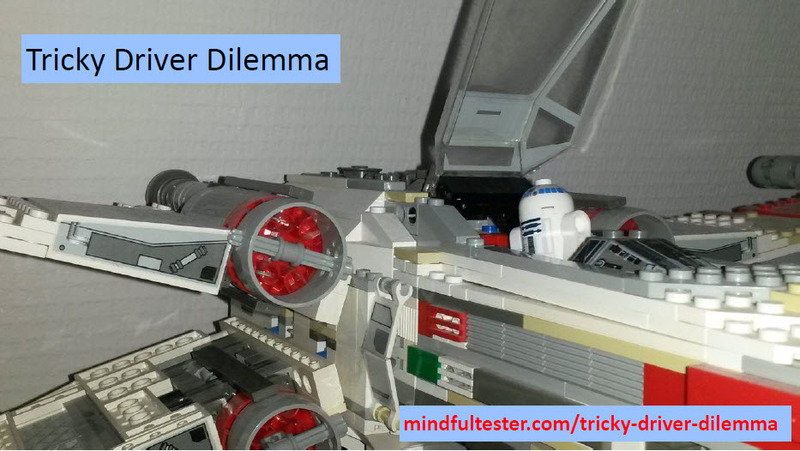 It took me several attempts to get my workshop for blogging accepted for a test conference. The last years I use a lined notebook to make sketchnotes. It is my way to be creative in a visual way. I feel like a Merry Potter. “Would you please raise your hand, if you use Spotify or iTunes? Thank you. As expected most people listen to these services. Personally I think music is important. 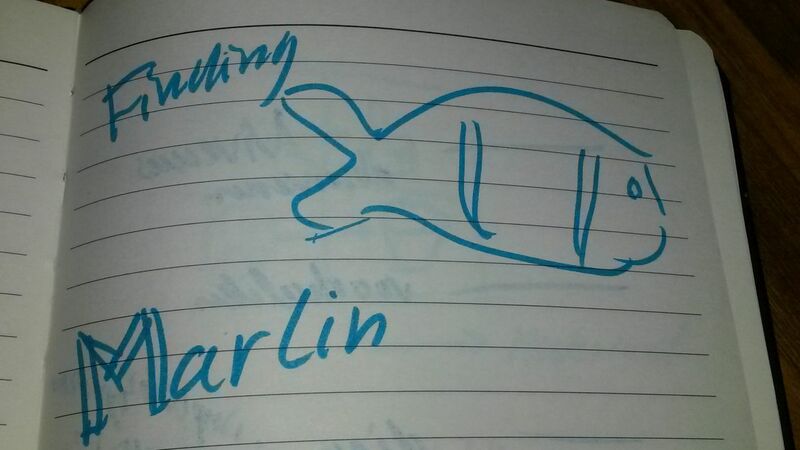 “When I blogged a post, I discovered the heuristic ‘Finding Marlin’ Marlin stands for ‘Make a real life impression now’”. It points to a tweet of 6 September 2016 with the text ‘Yes seriously’. 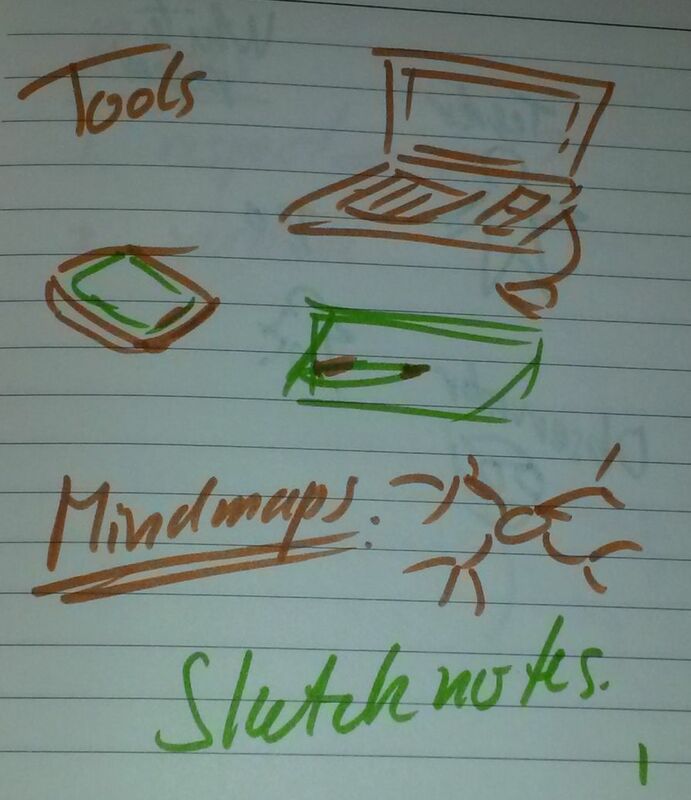 Most of the times I got ideas for pictures from my sketch notes. 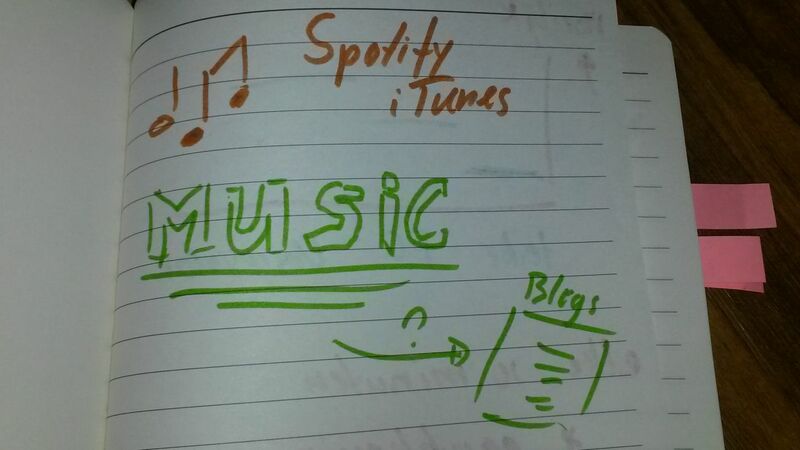 In order to avoid copyright issues I use my own pictures and sketch notes. Or ask and get permission. 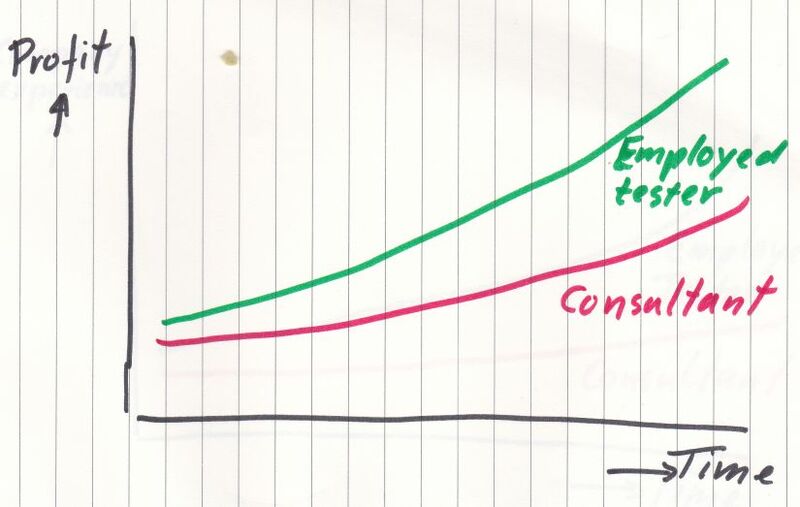 While studying User Experience, I heard about a designer making 50 designs in 50 days. I really liked his work in Amsterdam. As a Dutchman I am biased. Of course. Back on course. He made a booklet for frequently asked questions. There were 4 categories with questions. In 2 steps an answer for question was likely to be found. 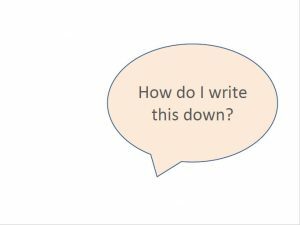 Now I had a writing exercise for a blogging workshop. Um. Wait, I could use a similar structure for this part. I made this nice obstacle map. Attendees could place a sticky note on the map. With 50 attendees I could get a quick overview. But how to keep up with a beamer? I had 20 mini presentations to handle questions. 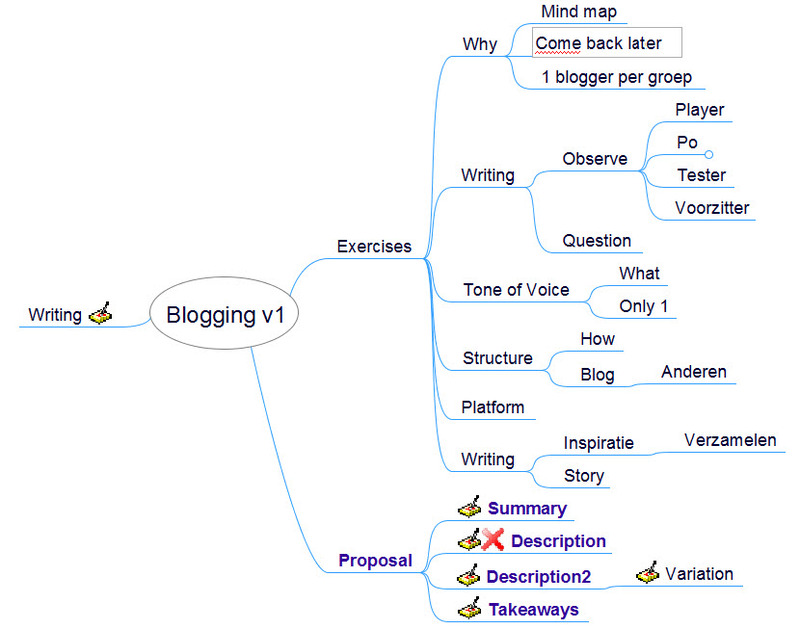 In my mindmap I placed links to presentations. My first version was solution driven. Wait, how was I supposed to jump to solutions? 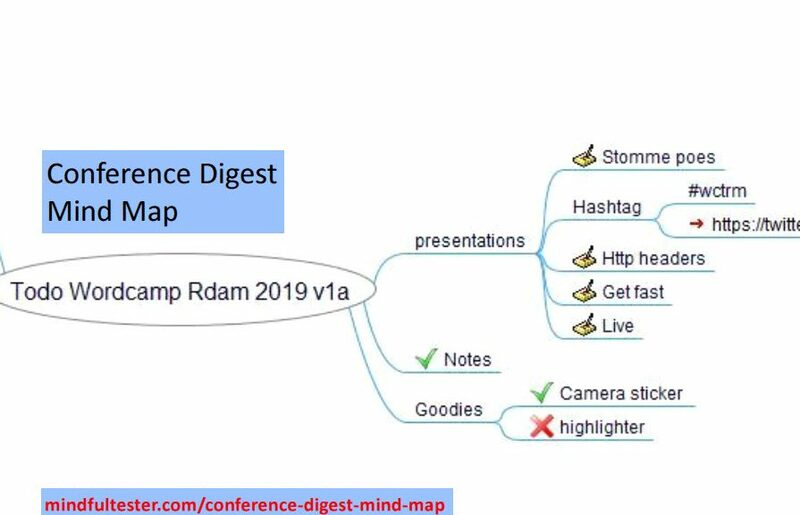 Using the presentation mode only the speaker – that’s me – can see the mind map. I click on “Direction” and all subbranches are opened. Then I click on “How do I write this down? ” and my first slide is shown for the attendees. “I took this picture at a Dutch railway station. 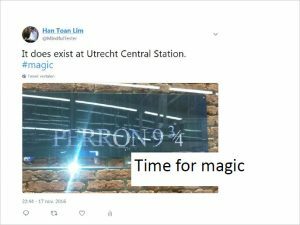 ‘Perron 9 3/4’ can be translated to ‘Platform 9 3/4’. This seems impossible. This blog post does not offer 100% acceptance success of proposals. See act 1. 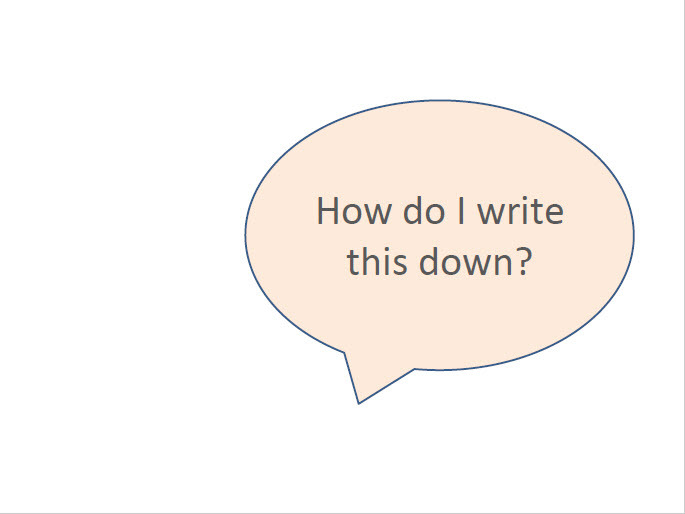 Writing proposals and making talks take a lot of practice. And some visual tools really helped me. if you are still hesitating to talk, please consider http://speaking-easy.com. This year I wrote some blog posts about legal and certification stuff. like January Testing and May 2018 Testing. So it would be appropriate to shed some light on accessibility and laws. I am not a legal expert. So please have a look at my used sources. Or contact a legal expert. I am just a tester finding test ideas about accessibility. Thanks for joining in advance. During #30DaysOfTesting I recommended to follow Karl Groves and Albert Gareev on Twitter for accessibility. Karl had interesting news for European software suppliers. Some law for accessibility was coming. Accessibility is coming to EU. I started my search engine and found the European Accessibility Act or EAA. Great, a new abbreviation for upsetting the PO. 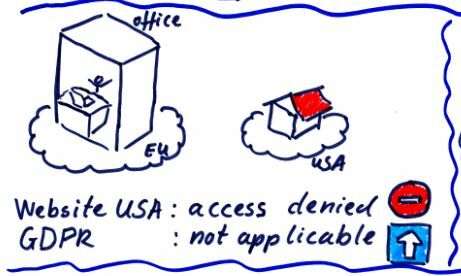 On November 8 the EU wrote a proposal to improve accessibility. In section 3.5 “The proposal” of Annex 1 is written, that the implementation should take place within 6 years. A lot of companies would think, that this is a rehearsal of the GDPR situation. A lot of companies still think, that everything is under control. 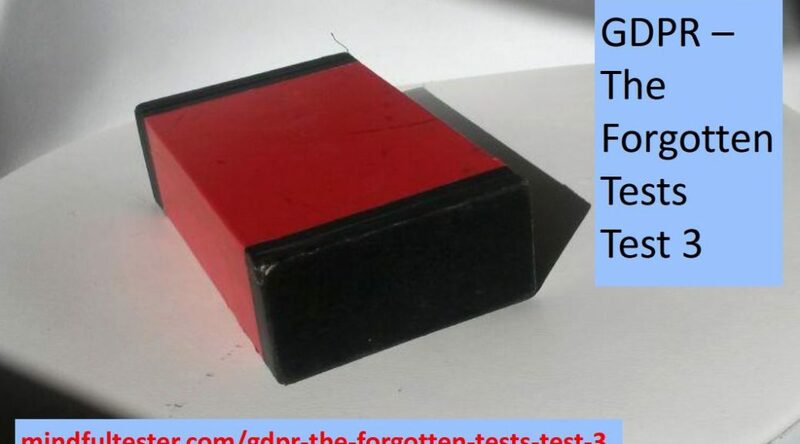 Just have a read over a forgotten test. Let me give several comments to this statement. It is not ethical. People are dependent from the internet. There are online shops, online bank portals, online government points of access, and so on. People with limitations have a right to use them. There are human rights and right no 9 states, that things must be accessible. Basically the EU bought companies some time. The global organisation World Wide Web Consortium or W3C created Web Content Accessibility Guidelines to help people and companies to make applications accessible. WCAG or Web Content Accessibility Guidelines is mentioned in EAA. So it is a set of practical information to make websites accessible. Actually there are American laws for accessibility. These laws are based on WCAG. Accessibility is coming from the States. Companies are being sued because of these laws at this very moment. So watch out with shipping your software to the States. 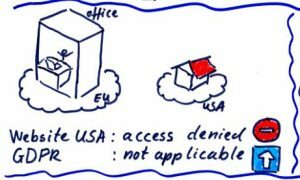 Websites for European institutions must be accessible. Maybe at the end of this blog post I have some other comments. Just scroll down and up. As a reader you have the right to ask for test ideas. OK, let’s have a look at an OK button. Is it possible to navigate to this button using the keyboard? Is the contrast of the text “OK” and the background big enough? Is OK written in clear font? Are symbols and colours used to indicate, that a press of the button is a confirmation? Is OK not offensive in this context? Does the screen reader recognise the OK button? Imagine the dialog with the “OK” button. Are the consequences of pressing the OK button clear? Is a pop up dialog really necessary? It takes time to find the right combination for accessibility. Did I already mention, that American companies have a clear advantage? Or the fact, that government websites in the Netherlands must be accessible to a certain degree. Accessibility on Dutch goverment websites. Showing the status code 451 instead of a website is not enough to avoid GDPR penalties in particular cases. Showing an error message instead of the website to users with a laptop or PC in EU is not enough. Tracking EU citizens without consent is still possible and therefore not GDPR compliant. The section ‘Advice’ provides a more detailed description. I am just a tester finding test ideas about GDPR. Thanks for joining in advance. This is my way to reflect on my research in GDPR of the last months. It took me lots of hours. If I missed a legal or W3C link, you can always contact me. I am happy to update this blog post. 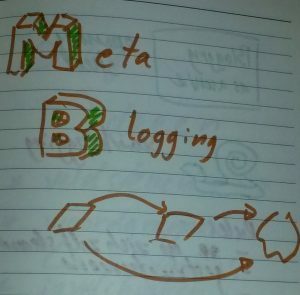 This spring I prepared a workshop about blogging. I tweeted about the use of sketch notes to find fieldstones. It got attention from @ConstanceHermit and Mike Rohde. Mike had a familiar name. 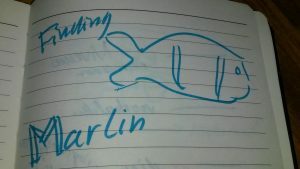 I bought his book about sketch noting. He asked me for a sketch note for testing. OK. Wow. WOW. I visualised some scenarios and found some problems in the chosen solution. 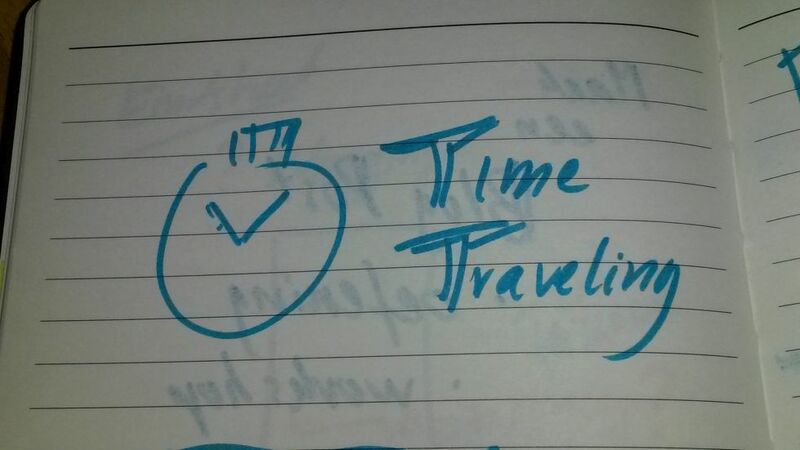 In case of impatience you can skip to the end of the article for the sketch notes. Be my guest. Numbers are fast to communicate. If people want a pizza and call numbers, then I can go to the website and just enter the called numbers. A pizza menu was used to abbreviate the pizza names: 16 is pizza Salami, etc. This way a protocol was set up. The internet Hypertext Transfer Protocol is used for web sites. Status codes like 451 provide information to the user. 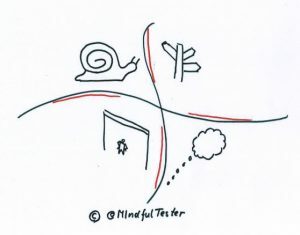 The problem with being a tester is to make an understandable message. This is quite hard. It is like telling how a car works without using names of car parts. I wanted to put 451 in the sketch note, but that was intimidating. 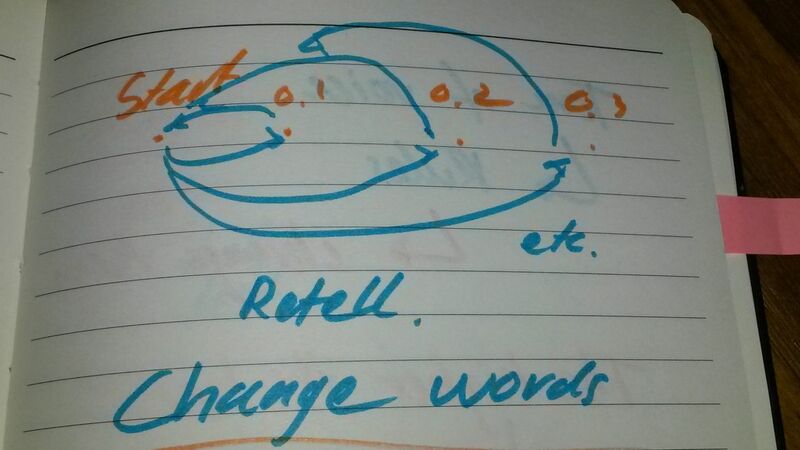 I also skipped flow diagrams. I also wanted to show off with test techniques. This was again: Not done. This is only nice for testers, but this is no good for people unfamiliar with testing. I can guarantee you that their number is way bigger than the number of testers. One sketch note became 2 sketch notes. First I drew with a dark marker, then I used other markers for more details. Then I set a new deadline for myself. 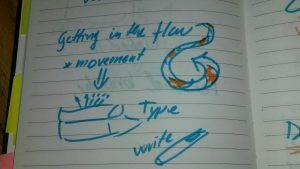 I would use the sketch notes in a presentation. If a speaker could not make it at the test conference a week later, then I would volunteer. GDPR is still interesting stuff for testers. In legal terms it is good for the public interest. Now I had to check my picture. And I hit the wall. It hurt. 451 was used for legal demands. I clicked on the link to the official request to add an extra code to the HTTP protocol. In this case the ministry of justice contacted the internet service provider, which in turn shows a 451 to the user. Sorry access denied. So this was not about web sites silencing themselves. So all the hours spent were for nothing. I lost hours of work. I felt miserable. This is part of research. The weekend before the test conference I looked on the internet. This time I searched on 451 and GDPR. The blog post ‘Is http 451 suitable for GDPR blocking?’ popped up. So I started my due diligence. The author is Terence Eden. That was the guy who had the idea for 451. I looked again in the official proposal for 451. Terence was mentioned. So my sketch note was almost good. So I only had to change the picture. And I was all set. I shared my deadline with my kids and they talked about it the next days. I could not find something about nationality. So a Dutchman in his own country is a data subject in EU. But a Dutchman in the US is not a data subject in the EU. Did I miss something? So again I was facing a legal problem in my sketch note. I used my search engine and found several answers on my question: is it possible to track EU citizens outside the EU? On Quora there was majority in favour for not tracking. One legal looking website had a complex advice with lots of conditions. Law is not about democracy, but about sticking to the rules. Basically I hit the wall again. Now I am a Dutchman. The big advantage is that the number of Dutch web pages is lower than the number of English web pages. These are the first 2 times I found “EU citizen” on the official EU website pointing to GDPR. There is a legal notice in the footnote containing a disclaimer. So I am quoting from an interpretation of the EU of GDPR. GDPR is leading and not the interpretation. The location of the home of the user was not enough. Again I was trying to attempt to tweak this blog post. Wait. In 2 (a) I found an interesting exception clause. What if an American shop offers products in the EU. So I drew a shop in the EU. 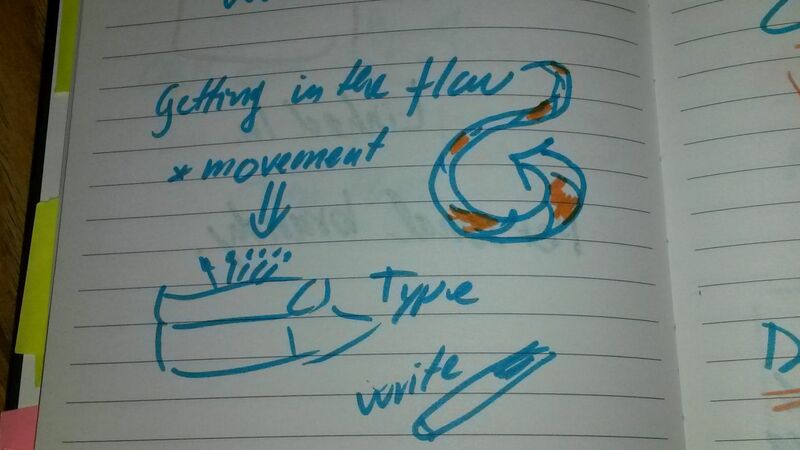 Okay, here are the promised sketch notes. Sorry for the lengthy introduction. 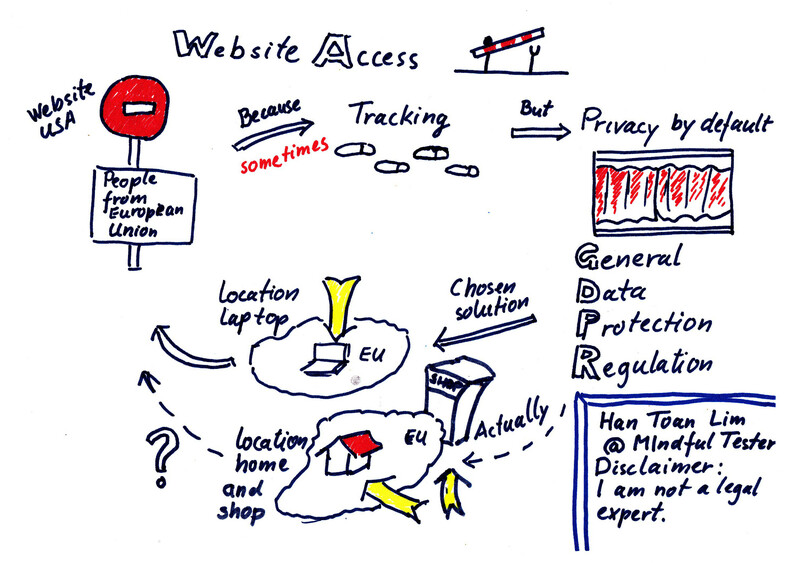 In the first sketch note I point out that the web site uses the location of the laptop to identify an EU citizen. But this is different from GDPR. The nationality of the user and the location of the shop should be used instead. 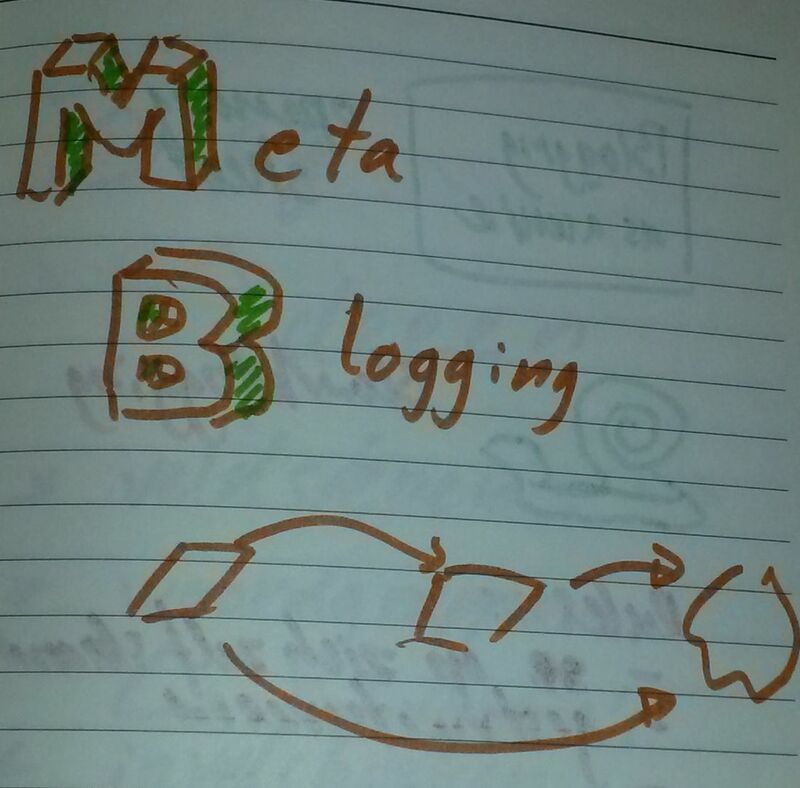 In the second sketch note there are two situations, which were not intended by the web site owner. Suppose your American colleague comes to Germany to help you a hand. Then he wants to go to a website with an expensive subscription. It is not possible: 451. The web site owner will probably state something about GDPR. Hopefully a disclaimer was added for this case. Looking at GDPR there is no violation. So no privacy penalties are involved. 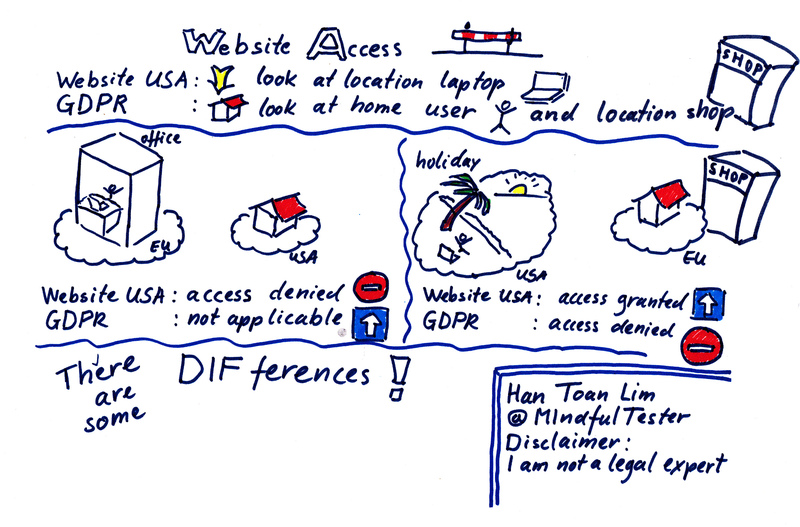 The second sketch note is really worrying, because an EU citizen is tracked during her or his holidays in the US. That is not right. Finally there is a test idea about an American living in the EU, who used to live in the USA and is planning to go back to the USA. I am quite curious whether customer tracking systems can handle all the moves. For the people who are concerned about money. Yes, GDPR can have a major impact on your profit. A solution is to show an error page 451 that the website cannot be shown because of legal reasons. This is in spirit with the request. A way to determine the nationality of the user is to use the location of the laptop or PC. This can be done by determining the internet address. According to me the best way is to switch off the immediate tracking of users and ask for explicit consent. Go as close to the source as possible. Read GDPR or find interpretation of the law given by the legislator or representative. Check and double check information and sources. Gamify testing by using different tools. 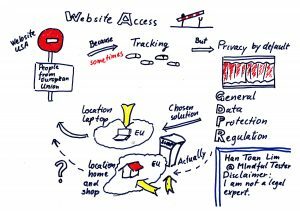 I used sketch notes, mind maps, and the internet. Get used to hitting the wall. This is my experience report about GDPR testing. I ran in some problems, but I was able to resolve them. I could just skip the problems encountered, but you, the reader, could get a false impression. Learning is stumbling and standing up. And walking again. 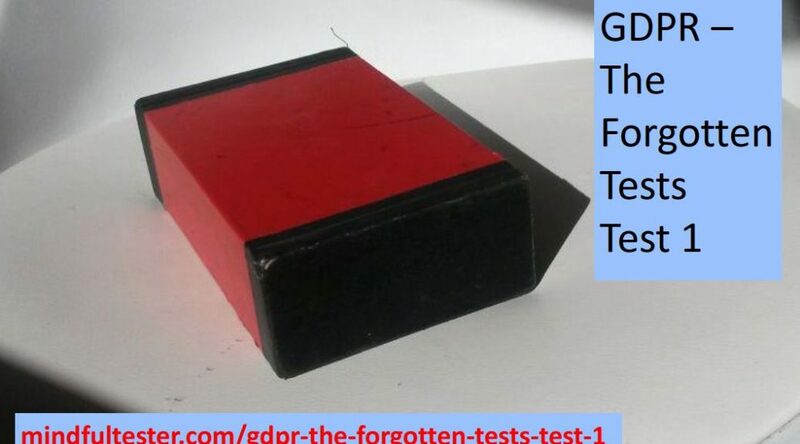 Black box testing is quite popular: the tester only has to focus on the functions of the system. There is no need to know about things like programming and other techy things. “That is a good observation, because it is part of a black box. Time for a legal break. After the break a pen test. The following story has been sanitised by me. Important details have been changed. My wife had bought a gift and she had also found a better gift. So she gave the second gift. And I had the pleasure to return the first gift to the shop. No problem dear. I went into the shop straight to the counter. After a few sentences I came to my point. while showing the first gift and the receipt. The 2 young men went into action. There was a lot of pressing of keys and a new receipt was shown. This was a standard computer generated receipt without a signature field. And I had to leave my signature here. I signed. I ran a quick scenario of returning articles in my head. This sounded reasonable. But I was still hesitant to leave my signature in the hands of two young men. This question led to puzzled faces. I scribbled the question on a piece of paper. It would be great to have a written answer, so I left my email address. Then I got my money back and returned 1 week later. The young man behind the counter recognised me. He went to a pole and pulled my paper with email address off. This was bad. He dutifully repeated the story about the signature of a customer actually returning an article. The signature would be saved for 1 month. That was fine. On my way home I was not convinced about the privacy. I had witnessed a breach of my personal data. In this breakdown I will point to several articles of General Data Protection Regulation or GDPR. ’20 000 000 EUR, or in the case of an undertaking, up to 4 % of the total worldwide annual turnover of the preceding financial year, whichever is higher’ [Article 83 5]. Let me review the most important steps during my visits again. I wanted to return an article and get a refund. Because money is involved, the request for a signature is good [Article 5 1(b)]. The receipt was a bit confusing for me, because there was no clear signature field. I just had to trust what the young men told me [Article 6 1 (f)]. A signature alone is not special. But if I had paid in the online shop, then it is simple to combine my signature with my name and other personal data. This way it is possible for someone else to write letters on behalf of me. It is criminal, but possible. The note with my email address on a pole was a personal data breach [Article 4 (12)]. It was not intended, but I could get a lot of mails with false promises. Test the UX or User Experience of the receipt. Is it clear to customers that they have to sign a receipt for a refund? Can they be specific about any doubts? Ask the people behind the counter, how they explain the refund procedure. Also how they handle personal data like phone numbers and email addresses. There are of course managers who will answer the questions flawlessly. Unfortunately they cannot be present in more than 50 shops at the same time all the time.Receipts with signatures should be stored in the same way as money. I did not see how my receipt was stored. Small sidestep: after May 25 2018 there were boxes outside shops to collect receipts of customers. If I put a receipt with my name and phone number in the box, then I could be the lucky winner of some fantastic prize. They were cardboard boxes standing on tables. This is an important lesson for myself. If something strange happens, wait to remember it and mention it. General Data Protection Regulation or GDPR is all about privacy. If a company handles privacy in the right way, then it can dodge penalties like 20 million Euro or 4 % of the worldwide revenue. Time for a legal break. Right after this break some idea. The job interview was about an agile tester. I thought I could handle that role. The probing questions from the interviewers were increasing. I tried to stay calm and answer the questions in a friendly way. Then came the expected question about test cases. They should be written beforehand. Time to explore. “You never know what you will find.”, I remarked. I showed a part of the mail. There were two pictures: one green thumb up and one red thumb down. There was an orange arrow pointing to the thumb up. “If I hover above the picture of the green thumb, the URL will be shown in the status bar of the mail.” The URL was contained in a red eclipse. I gave a technical answer using normal words. Okay, I got his attention. Then the exploratory tester awoke in me. And I could not stop him. I went in full brainstorm mode and described all kinds of product risks or things which could harm the user. I could find information about correspondence about money. I didn’t get the job, but the mailing was fixed afterwards. Obviously 20 million Euros are not enough to qualify as a tester. But there are retrospectives for. Most of the time primary systems were and are tested for GDPR and national privacy laws. Sometimes this software did not easily support mailings. An easy solution was to use another system outside the company. Specialised in mailings. All kinds of data like email addresses, names, and profiles were used for mailings. Technical decisions were taken like http instead of https. Somehow the legal department and testers missed something. According to GDPR the protection of personal data is a fundamental right [ (1) on page 1]. The economic situation of a person can be used for profiling. In turn this can be used to exclude people to get certain services like mortgage [ (75) on page 15]. explain legal and security stuff in normal words. let the owner control the flow of information. I should have send my brainstorm on request. read ‘Here’s Why Your Static Website Needs HTTPS’ by Troy Hunt, a security researcher. It contains an entertaining 25 minute video with several attacks on an http website. For people new to security, just watch the video and focus on what you would not like to happen on your website. At the moment there are browsers showing whether a website is insecure. This was not the case, when I received this mailing.